To get to the island, you have to take a ferry or plane. There are no cars on the island, only horses and bikes. So as you approach the ferry docks, you get an incredible view of hotels, cottages, and the marina. Quick geography lesson for out-of-towners: Michigan is made up of two main sections, an Upper and Lower Peninsula. The bridge in the distance is the Mackinac Bridge, and connects the two peninsulas. It’s about five miles long. 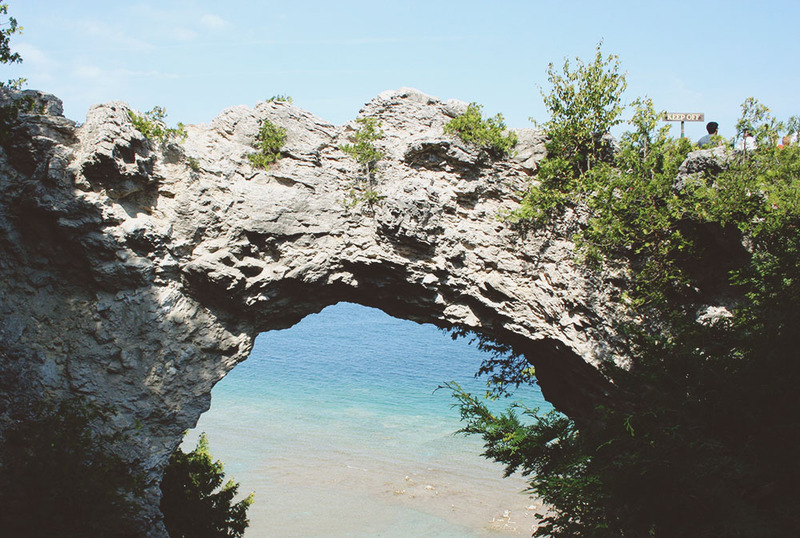 Mackinac Island sits somewhat between the two – you can take a ferry from either one. I’ve driven over that bridge countless times, but I never get get tired of looking at it. One of the things I appreciate about the island is how diverse the views are, despite its relatively small size. 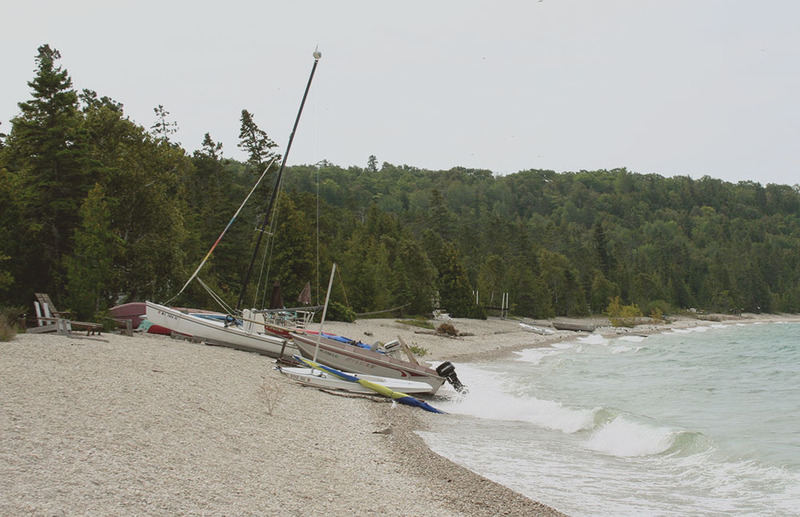 This view is about a 10-minute bike ride from the very bustling downtown area, and yet it feels like a true Northern Michigan coastline – private and a little rugged. Since there are no cars, you’d better be ready to get around on your own accord. That generally means walking and biking. (Or, if you’re patient, waiting for a horse-drawn carriage taxi.) The island is also pretty hilly, but there are tons of paved pathways and trails traversing the whole thing, so you can get from point A to point B pretty directly. This set of stairs goes from just off the main street all the way to the top of the island. A little tiring, but worth it! Once at the top of the island, there are views like this awaiting you! I wasn’t kidding about the horse carriage taxis. I’ve actually never been on one, but they seem fun – and practical if you have to get from the ferry docks to a hotel, or out to dinner in impractical shoes. You can also take a guided tour all around, and get local history from the entertaining carriage drivers. After all that traipsing around, everyone deserves to take a break on a patio somewhere. This is one of my favorites: the Carriage House dining room at the Hotel Iroquois. The patio is relatively small, and late in the day sits in the shade of the hotel. It overlooks the ferry docks so you can watch all the action – but sits far enough away that it’s pretty quiet. I love this picture from last year – we had been hiking and biking all day, so I was a little sweaty, kind of greasy, and windblown; tired in the best way from a great day of exploring. This patio was a shady little oasis to cool off before cleaning up and heading out to dinner. 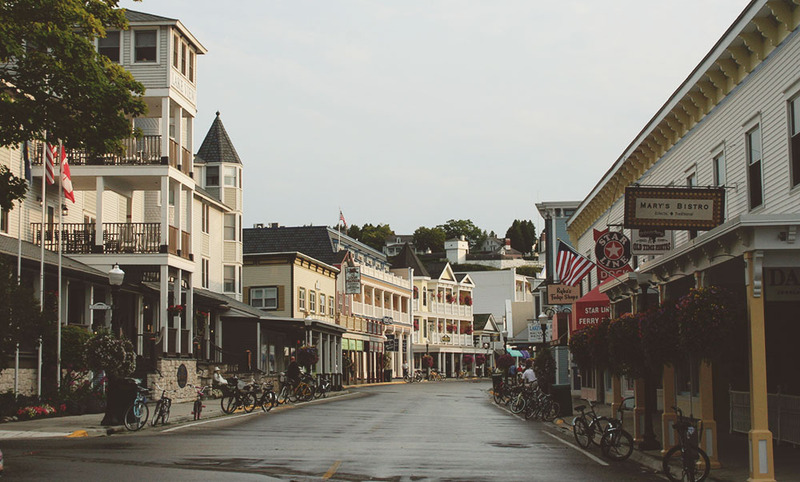 Downtown Mackinac Island is usually teeming with people, bikes, and horses. I recommend getting up early – the city cleans the streets at the crack of dawn, so everything is fresh for a new day. It’s an amazing feeling to walk through town while it’s still waking up. 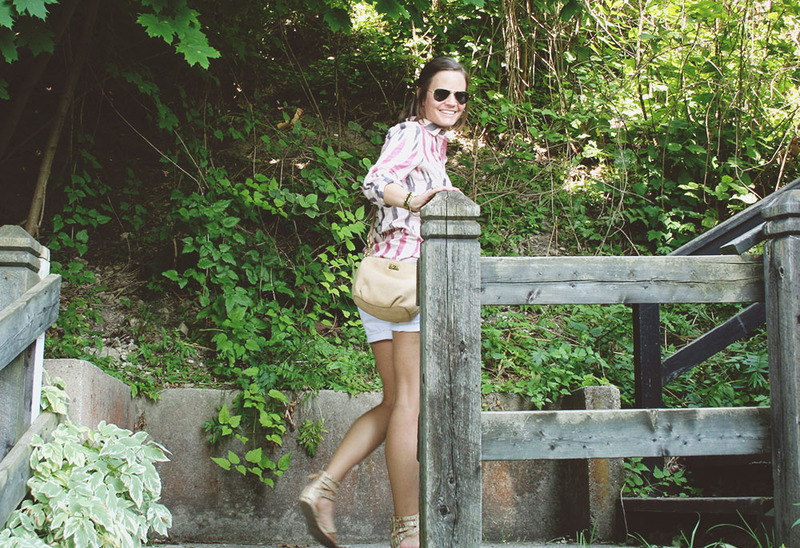 Grab a bench, and watch it come alive for the day. 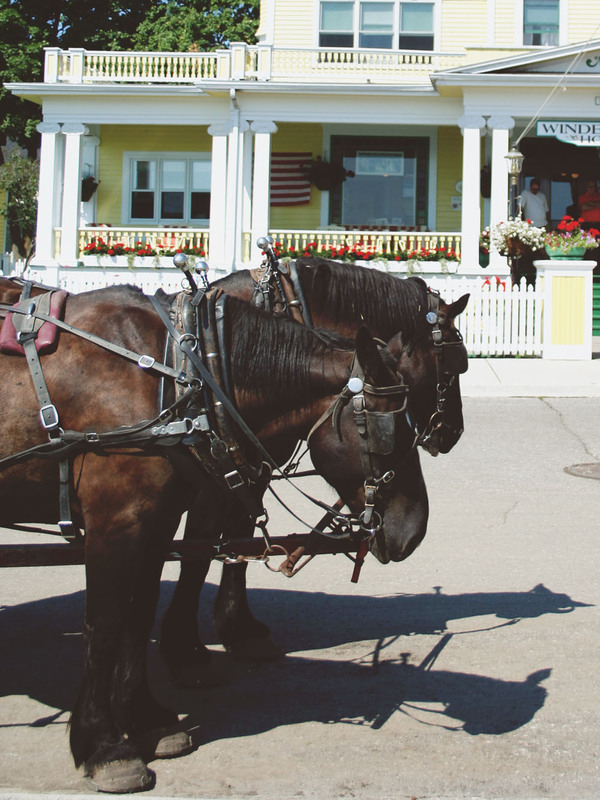 Mackinac Island Tourism Bureau – All things island-related. List of lodging, restaurants, and any special events. During the summer, there’s something going on almost every day above and beyond the regular activities. Lakeview Hotel – This is where we stayed last year. 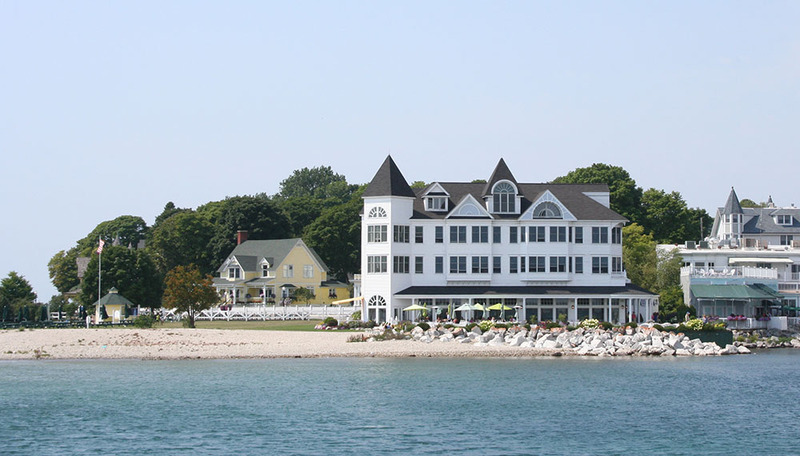 Many places on the island have a minimum two-night reservation policy, but Lakeview allows one-night reservations. Helpful if you’re on limited time. Mackinac Island Bike Shop – You can definitely bring your own bicycle, but I found that this place rents all different kinds, and they’re really nice. (You can do the “granny glider” cruiser model, all the way to a Trek mountain bike.) The rates are really reasonable, especially knowing you can just give it back when you’re done and don’t have to worry about locking or storing your own. Also, the ferries charge for bikes, so it’s not entirely free to bring your own anyway. Alison I’ve nominated you for an ‘Inspirational Blog Award’ at http://backstreetnomad.wordpress.com/2014/08/06/the-inspirational-blogger-award-2/. 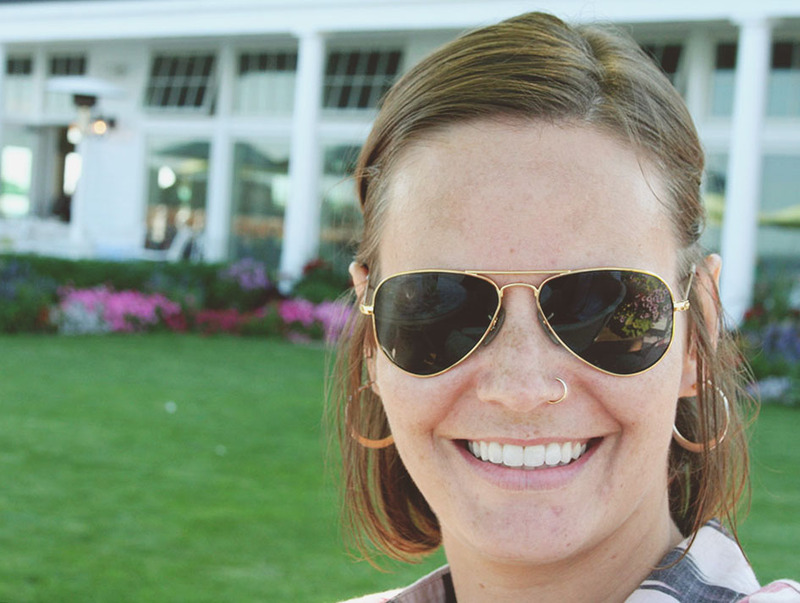 I love reading about your stories and about the places (like Mackinac Island) that I haven’t heard of and hopefully forward to plenty more.